KIEV, Ukraine -- A loud, angry and violent protest this week over a parliamentary measure to grant a greater degree of self-rule to Ukraine’s secessionist eastern districts overlooked one little-recognized fact: To a great extent, the rebel areas have already achieved an autonomy surpassing that envisioned in the measure. 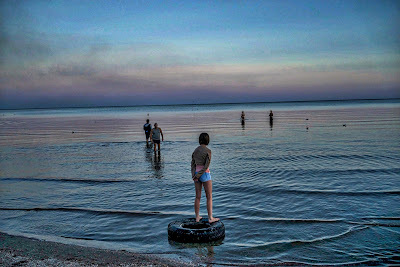 A beach in Mariupol, Ukraine, near the Russian border. Rebel areas have already slipped under Moscow's control, militarily, politically and economically. But that, paradoxically, could be a positive development, some analysts say, and a necessary first step to ending the fighting, which has cost more than 6,900 lives and has driven Ukraine’s economy close to collapse. Ukrainians outside the secessionist districts resent Russia, the separatists’ major financial and military supporter, and blame its president, Vladimir V. Putin, for their country’s civil war. Polls suggest that Ukrainians firmly oppose any sort of concessions to the rebels — and, by extension, to Putin. And there are signs that the issue of autonomy could destabilize the government in Kiev. By Wednesday, three police officers had died from wounds sustained during the protest, and the governing coalition in Parliament had started to splinter, with one party leaving. Yet the rebel areas have already slipped under Moscow’s control, not only militarily and politically, but also economically, as trade has swiveled to the eastern border with Russia and Russian rubles have become the region’s principal currency. Ensconced in their enclaves, the separatists are showing little willingness to rejoin Ukraine in any way. They have formed their own ministries and armies, and they have begun levying taxes and paying the pensions and public wages that Kiev stopped paying last year. “We are shifting to the Russian Federation,” said the most senior rebel financial official, Evgenia V. Samokhina, the economic development minister of the self-declared Donetsk People’s Republic. 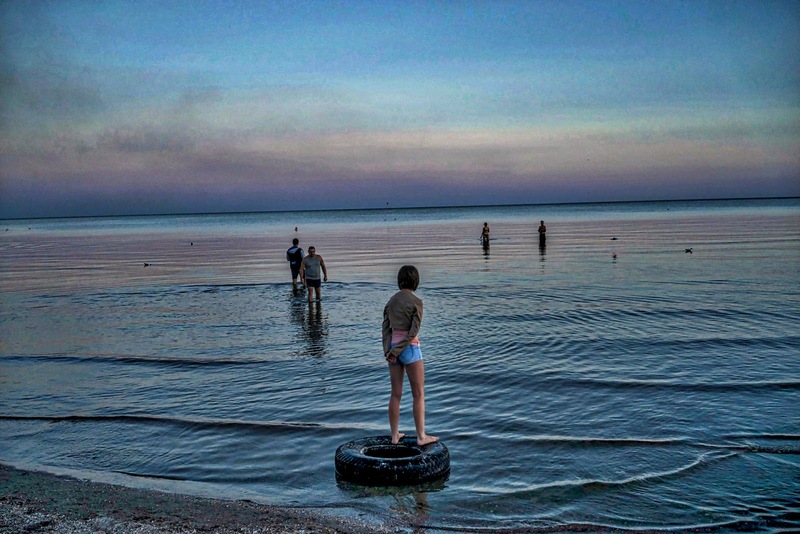 The approximately 3.5 million people living within the so-called people’s republics of Donetsk and Luhansk have become de facto entrants into the ruble currency zone. Donetsk is officially a multicurrency area, where businesses are allowed to accept any form of payment. But the leadership last winter fixed an exchange rate that favors the ruble, and since then the Ukrainian hryvnia has all but vanished. While the ruble is extending Moscow’s financial dominion, trade is also shifting to the east. Starting in May, hundreds of trucks per week hauling coal, the region’s main export, began crossing into Russia. The changes are occurring as the region’s formal cease-fire agreement, largely ignored in recent months, seems to be showing renewed signs of life. The big guns on both sides have fallen silent in recent days, and only a few skirmishes have been reported. That could reflect a broader bargain that serves Putin’s interests, analysts say. Obtaining an autonomy measure that meets his demands in the cease-fire agreement will simply cement the “facts on the ground” and provide him with a politically defensible way to extricate himself from a costly conflict that he can no longer afford. “There is a strain on Russia’s budget with oil and gas prices where they are today, and the lowering of military activity is part of Putin’s plan to get out of this situation,” Ivan Lozowy, director of the Institute of Statehood and Democracy, a Kiev research group, said in a telephone interview. “Putin has abandoned plans for serious military action,” he said. But to accomplish his goals, Mr. Lozowy said, Putin needs the acquiescence of the Kiev government and its president, Petro O. Poroshenko, in the fig leaf of an autonomy agreement that keeps the separatists nominally a part of Ukraine. “Putin is looking to reintegrate the occupied territories, but to have the leaders, or some representatives, enter into Ukraine’s Parliament, or at a minimum hold positions in local government,” Mr. Lozowy said. That way the Russian leader can make a case to Western governments to lift their damaging economic sanctions, he added. That possibility has incensed members of the volunteer battalions that bore the brunt of the fighting. “There’s a sense among those who fought at the front of: ‘What were we fighting for? The separatists will be allowed in,’ ” Mr. Lozowy said. That bitter outcome, analysts say, is not just the result of Russia’s military and economic power. In its decision to end subsidies to the east, Kiev has itself to blame, as well as Moscow. Before the war, the separatist regions were subsidized by Ukraine, with about $2.6 billion a year going to pensions and an additional $3.2 billion to coal subsidies. Now, rubles from Russia’s own strained budget are filling that subsidy gap, buying influence along the way. “When we speak of soft power, Ukraine is just shooting itself in the foot” by losing economic sway over the rebel zones, said Oleksiy Melnyk, a researcher at the Razumkov Center in Kiev. It remains unclear whether the autonomy measure will pass, a feat that will require a supermajority of 300 of Parliament’s 450 members, and at what political cost among a people whose hatred of Putin and Russia is often palpable. “What do we have in Donetsk and Luhansk? We have the Russian Army, Russian gangsters and Ukrainian terrorists,” Oksana Syroyid, deputy speaker of the Ukrainian Parliament, and an opponent of the constitutional change, said in an interview on Wednesday. With the change, Ms. Syroyid said, the Kremlin would be positioned to regain a role in Ukrainian national politics by using sham elections to fill 14 vacant parliamentary mandates in rebel-held areas and sending these officials to Kiev. Putin, she said, has repeatedly escalated the conflict to achieve political goals, and she doubted he would stop with just the autonomy law. “We all know that Putin’s behavior does not depend on any documents,” Ms. Syroyid said.